From ancient Cleopatra treasures to a modern-day smart phone art game, there’s something for everyone this holiday season at L.A. Museums. Here’s my list of 5 great kids activities to explore over winter break (December – January 6). Happy Holidays! 1. 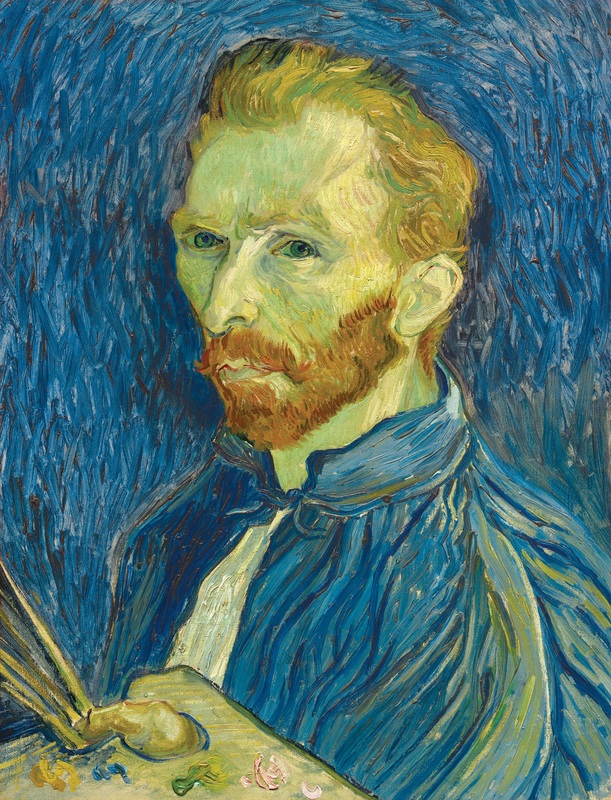 Van Gogh Self-Portrait, Norton Simon Museum: The National Gallery of Art’s Van Gogh Self-Portrait (1889) painting is on view at the Norton Simon (thru March 4). This is a rare treat because no other Southern California museum collection contains even one of the artist’s hauntingly compelling self-portraits. Be sure to check out the Norton Simon’s award-winning children’s audio guide tour too. My kids love it. (see previous post). 2. Smart Phone Art Game, Getty Center Museum: Kids, young and old, will love playing Switch, the museum’s new art puzzle game on their mobile devices. The game sends children on a journey through the museum to investigate which details have been “switched” on four major Getty artworks. For older kids and adults, the museum’s current exhibition Florence at the Dawn of the Renaissance is getting rave reviews (thru February 10). 3. The Resnick Pavilion, LACMA: The Resnick Pavilion added an acre of exhibition space to LACMA when it opened in 2010. But it wasn’t until this fall’s exhibition line-up that the building reached its full potential to wow the public with its huge expanses of space flooded with natural light. So grab your family, friends, and out-of-town visitors and explore three extraordinary exhibitions now on view in the Pavilion; Caravaggio and His Legacy, Ken Price Sculpture, and Walter De Maria: The 2000 Sculpture (photo below). Parents, remember less is more when looking at art with kids. Try taking a close look at just a few Caravaggio paintings. You’ll discover beauty in the details. 4. Democracy Matters Exhibition Series, the Skirball: Don’t miss this chance to see some of our nation’s founding documents from the Library of Congress in the exhibition Creating the United States. That’s right, you don’t have to fly the kids to D.C. to see original documents and autograph letters by George Washington, John Adams, Thomas Jefferson, and John Hancock. Other Democracy Matters exhibitions include Decades of Dissent with some great political posters from the 1960’s and 1970’s, and Free to be U.S with cool interactives exploring First Amendment issues of freedom (thru February 17). 5. Pompeii Exhibition, Getty Villa Museum: If you read my review (see previous post), you know how much my family enjoyed The Last Days of Pompeii exhibition at the Getty Villa (thru January 7). I recommend the exhibition for kids ages 8+, and the Villa’s Family Forum interactive gallery for younger children. Timed reservation tickets required. Post Script: Due to popular demand, the California Science Center just extended Cleopatra: The Exhibition through January 6! So make that 6 holiday picks for families. And if you haven’t already, see the newly installed Endeavour Space Shuttle (see previous post) while you’re there. Timed reservation tickets required for both exhibitions. Van Gogh, Self Portrait 1889, the National Gallery of Art, Washington. Walter De Maria, The 2000 Sculpture, 1992, Collection of Walter A. Bechtler-Siftung, Switzerland, Photo by Museum Associates/LACMA.